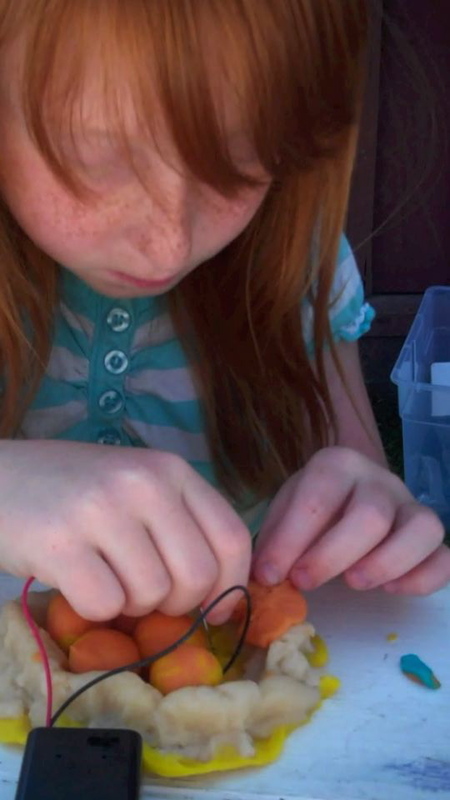 Build playful and colorful sculptures using conductive and insulating play dough. Using jumbo LEDs and batteries well build parallel and series circuits and then use these patterns to build unique sculptures that light up! This engaging activity allows for all the fun of the play dough you are used to. Learning about circuits has never been so hands-on and accessible to young kids. That said, we know plenty of adults who love playing with Squishy Circuits as much as the youngsters. Parents, teachers, youth leaders, baby sitters are encouraged to come and find out about this great medium for learning about circuits and the art of tinkering. This program is a part of the Vermont “Spark a Culture of Innovation” Grant.